These are my collection of Sea Marbles that I have been collecting for about four years now. 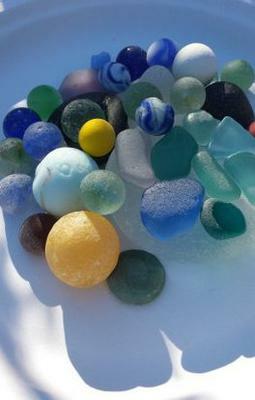 I live on Cape Breton Island Nova Scotia Canada and love to glass hunt as much as tides and a full time job will allow. I have almost 300 in total and can't wait to find my next beauty. Love the look of the round marbles in a circle pattern by color. Very easy to look at. Amazed you can find so many colours. 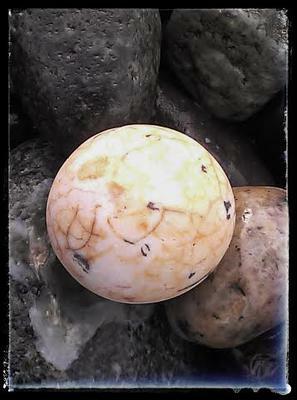 Was there a marble factory somewhere in the vicinity? 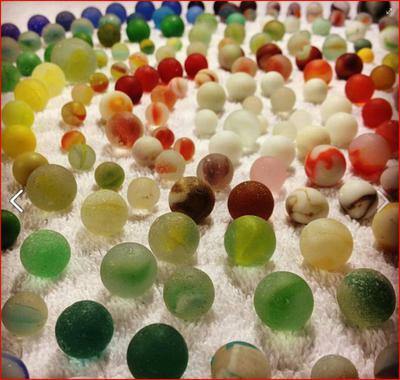 Love the photo: what a great arrangement of the marbles, and use of towel as background?